By signing the Real Food Campus Commitment, schools commit to buying at least 20% Real Food annually by 2020 and thereby use their tremendous purchasing power to support a food system that strengthens local economies, respects human rights, and ensures ecological sustainability. To get their school signed on, most students must build a campaign to gain additional student and faculty support to urge their president to sign the Commitment on behalf of their campus. 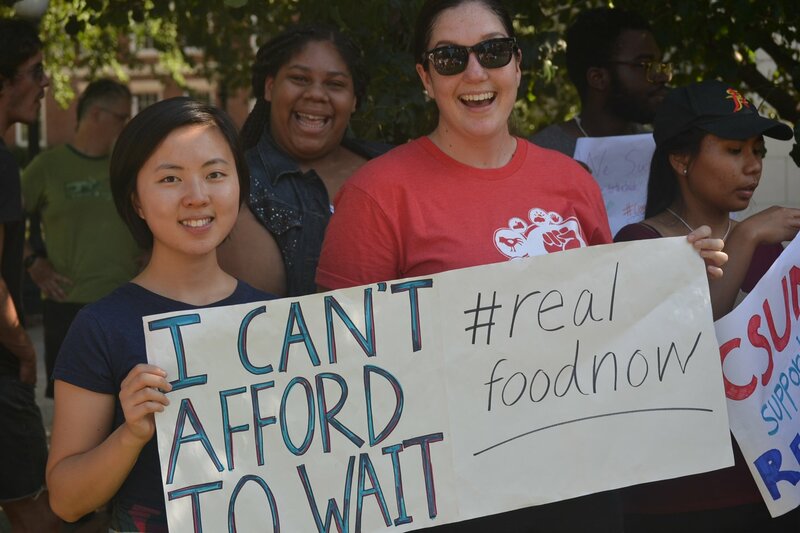 Increase awareness about food systems on campus. The full text of the Campus Commitment can be found here. Please email us at commitment@realfoodchallenge.org with any questions.